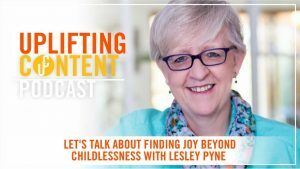 I've spoken in the media about childlessness, about my book 'Finding Joy Beyond Childlessness' and mostly about how it absolutely IS possible to find joy even when your biggest dream didn't come true. Here's a selection of my media appearances. 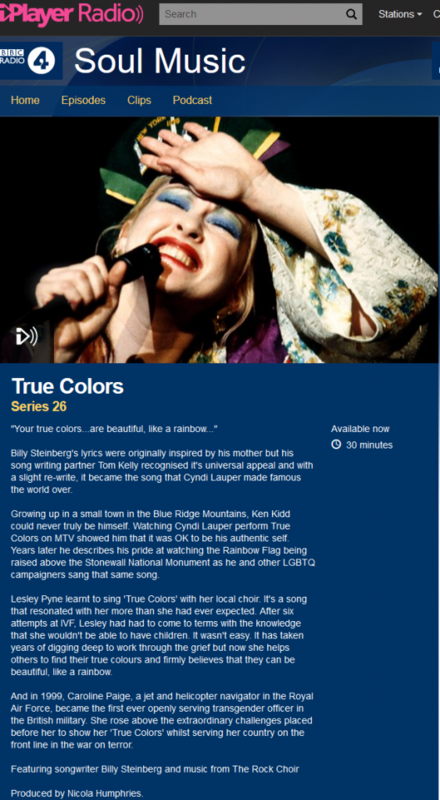 In May 2018 I was interviewed by BBC Radio 4 talking about how the lyrics to the song True Colors resonate with me. You can read more and listen here. 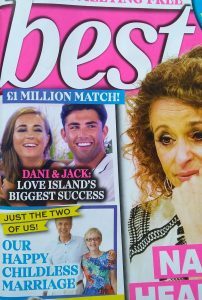 My story was featured in Best Magazine, and we made it to the front cover. It's not often you see the words childless and happy in the same sentence. 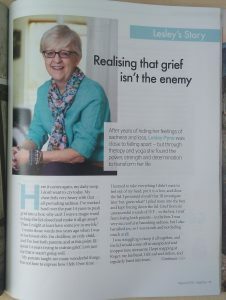 Here's a link to an article I wrote for Happiful Magazine (it starts on page 45), about how everything changed once I realised grief wasn't the enemy and stopped running from it. 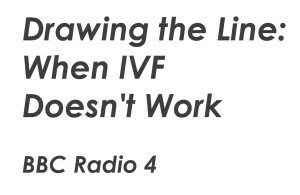 I was featured on the BBC Radio 4 Documentary 'Drawing the Line: When IVF Doesn't work, and was interviewed for Woman's Hour talking about it. I did a Facebook Live interview with Ione Butler at Uplifting Content. The Science Museum in London has an exhibition to celebrate 40 years of IVF (IVF: 6 Million Babies Later). I was very pleased to record an audio for them describing what it's like when it doesn't work. If you're in any doubt as to whether I've really found my joy, please watch this video of me being interviewed at my book launch party. 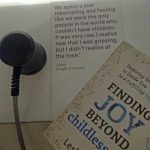 And here are some blogs/book reviews by fellow childless bloggers. First a video interview and blog by Jody Day at Gateway Women. And a zoom chat I had with Stephanie Phillips as part of World Childless Week 2018; Finding Acceptance and Moving Forward. Here's a conversation I had with Heather Whiffin at MoreToLife. 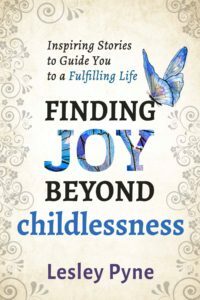 And here's the link to her review of Finding Joy. And a guest post including a video interview I had with Lisa Manterfield at Life Without Baby. We both tried to outrun our grief and learned, the hard way, that it will catch you. An audio interview I did with Cathy Broadwell on the Slow Swimmers and Fried Eggs podcast. A guest post I wrote for my lovely friend Helen Rebello (who is also one of my storytellers) about my journey connecting to my body. Something a bit different. Here's a guest blog I wrote for my good friend and business coach Karen Knott. It's about how being open to how we achieve our dreams makes all the difference. And a piece on Female First. I was interviewed by Sheryl Andrews as part of the Authors' Journey series of interviews. We spoke about my journey to becoming an author and how the writing process has changed me fundamentally. 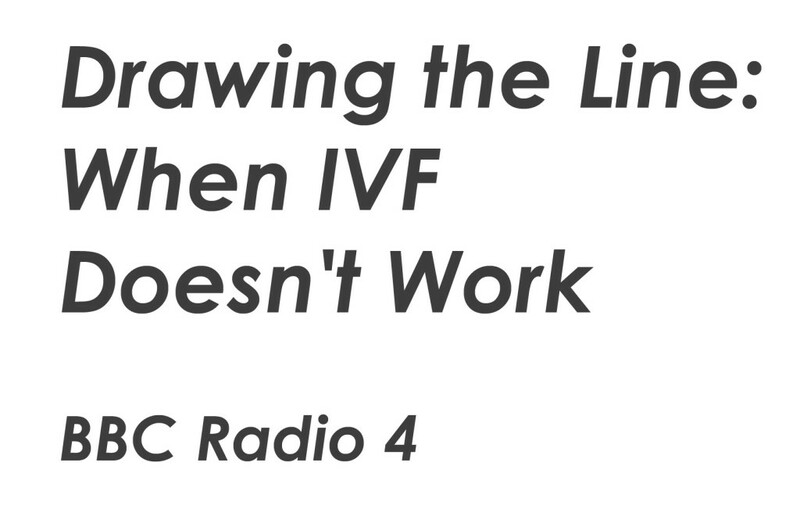 What do you do when IVF doesn’t work? How do you decide when to stop? And how do you come to terms with life afterwards? These are the questions I discussed with Charlotte Smith when she and the Producer of Drawing the Line: When IVF Doesn't Work, Anne-Marie Bullock came to my house to record my contribution for the programme. When I agreed to be interviewed I wasn’t quite sure what to expect, and I couldn’t be happier with it. The programme is thoughtful and sensitive and you couldn’t fail but to be moved by it. I was delighted that Woman’s Hour picked up the topic and my husband, Roger and I recorded an interview with Jenni Murray. In it we spoke about how we came to terms with our life afterwards, including how helpful being a member of MTL has been to us. You can listen to both programmes and read my thoughts here. 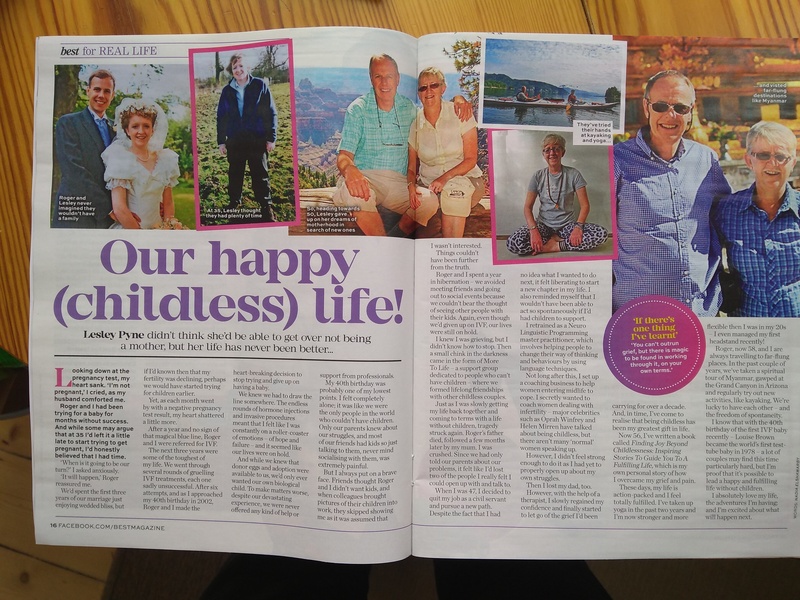 We waited until I was 35 before we started trying for children and I didn't realise that my fertility was dropping. That's why I'm backing the campaign for fertility education to be included in schools. My story was featured in this article in the Daily Mail. 365 Moments of Grace which you can read about here. I wrote a post about Turning Childlessness into a Homeworking Business HERE. I wrote this article for the website A Child After 40 (for women on the later journey of motherhood). It's called 'Can You Face Being Childless After 40' and describes my journey to where I am now in 4 (not so simple) steps. This is the LINK. And this one called Starting Over After Infertility – A New Business Idea? HERE describes how I started over and was able to support other childless women. Here's my interview with Viv Oyolu on Dream Corner. Amongst other things we spoke about how men grieve differently and how hard it is to find our place in this family-focused world. Men and women discussing childlessness. And here is this ground-breaking discussion. I was interviewed by my good friend and Business Coach Karen Knott in her series Prime Time Women In Action and here we are.